I know you guys do motor work, but is there any chance you roll fenders or know anyone who does? 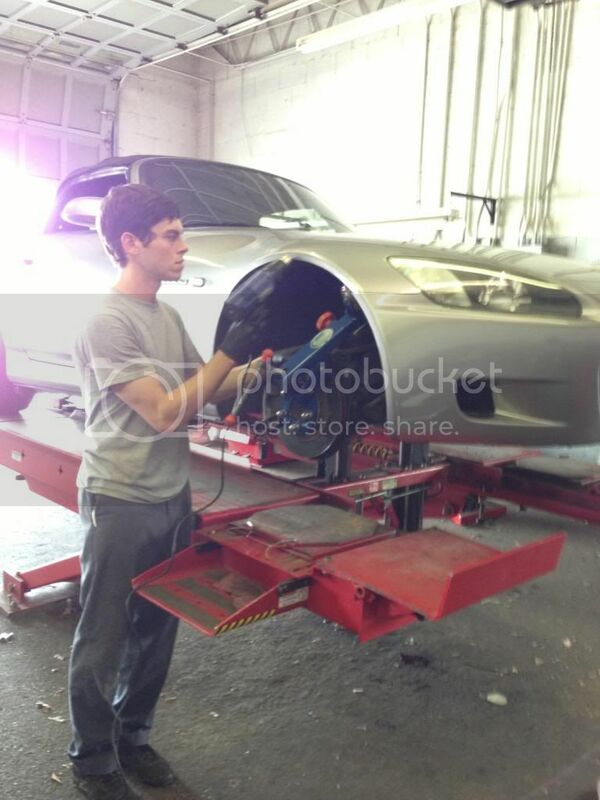 We handle installations, fabrication, motors, suspension, dyno tuning, etc but no body work. Follow us on Facebook for shop news and sales! How much did that run you? Was it just a roll or a pull too? I'm not exactly positive on how much it cost. I want to say that it was around $100 but im not for sure. I had him do more than just that while he had it. It was just a fender roll. I dont believe there was any need to pull. Im running a 255 square with 17x9 +45 on my S and about to drop it and may have to do a bumper tab relocate but he did a great job with the roll. You cant look at the car and tell that they were rolled at all. Cool. Thanks man. I'll hit him up. Phonebook and a jack... Simple. 502StreetScene > Vendors > Dynosty » Fender rolls?